This book takes you on a courageous journey into the souls of a mother and a daughter. A unique text, written by them in tandem, exposes what all of us are afraid to discover. Do we really know what is happening with our children? Are we perhaps at times asleep in our relationships? Has our child given up, and what can we do about it? What began as a normal communication breakdown between a rebellious teenager and her Mom -- who is juggling studies, a career, raising her children, and preserving a marriage -- turns into a nightmare, and secrets that had been hidden for years are revealed. 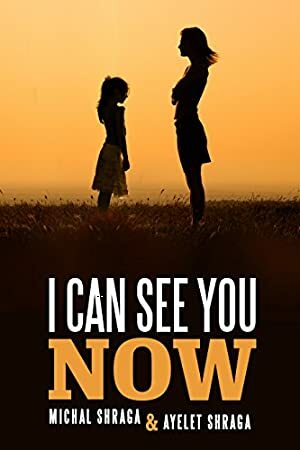 Scroll up now to get your copy of I Can See You Now! Track It. This book has been $0.00 within the past six months. Log In to track Ayelet Shraga on eReaderIQ. to be notified each time the price drops on any book by Ayelet Shraga. to stop tracking Ayelet Shraga. Log In to track Michal Shraga on eReaderIQ. to be notified each time the price drops on any book by Michal Shraga. to stop tracking Michal Shraga. We started tracking this book on August 2, 2018. The price of this book has changed 7 times in the past 260 days. The current price of this book is $2.99 last checked 19 hours ago. The lowest price to date was FREE last reached on November 8, 2018. This book has been FREE 3 times since we started tracking it. The highest price to date was $3.99 last reached on November 8, 2018. We last verified the price of this book about 19 hours ago. At that time, the price was $2.99. This price is subject to change. The price displayed on the Amazon.com website at the time of purchase is the price you will pay for this book. Please confirm the price before making any purchases.